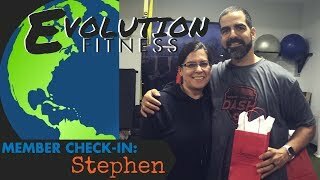 Prove It @Evolution Fitness - Cherry Hill, NJ - Join us! Give us 21 days & we will PROVE why Evolution Fitness is the RIGHT fit for you! We know that there are many many choices out there when it comes to fitness these days, so we have designed a plan to show you what we do and what we can do for you in just 21 days. At Evolution Fitness, we use the latest in scientific research when designing out Group Coaching Classes and Semi-Private Training sessions. We want everyone to achieve their goals quickly in a safe and efficient way. We want our members to be their best selves now and in the future. Evolution Fitness has several different membership options to suit everyone’s lifestyle. At Evolution Fitness, we meet with every individual interested in training with us for a complementary strategy session. When you sit down with one of our membership specialist, they will review your health and training history with you. Collaboratively, we will then establish a plan of action along with goals that will start you on your journey to get RESULTS. The strategy sessions will include a Functional Movement Screen (FMS) that will identify any stability and mobility imbalances and asymmetries you may have in your body. The FMS allows us to identify any possible risk for injury or areas to work on so we can provide the correct plan of action that will get you fit but safe.